Lakadia Hall, Opp. Al Madina Masjid, Near Water Tank, Danilimda, Ahmedabad. 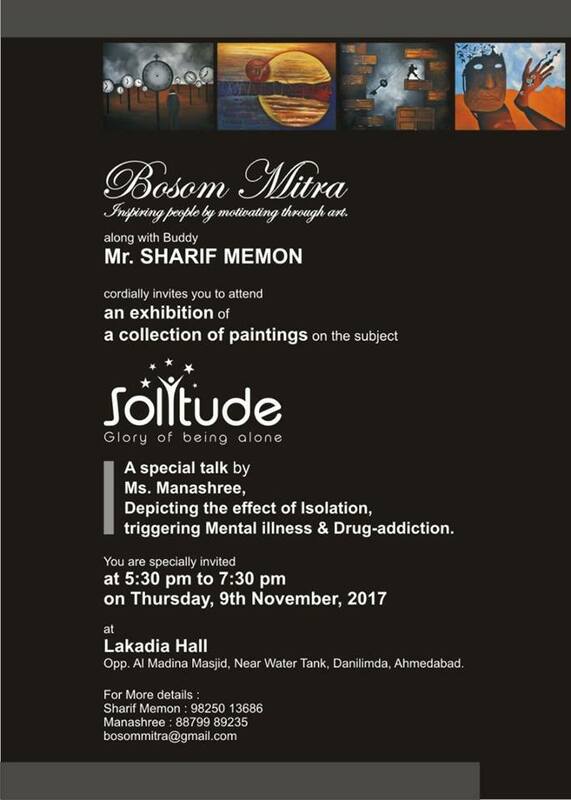 An exhibition of a collection of paintings on the subject Solitude by Bosom Mitra. A special talk by Ms Manashree, Depicting the effect of Isolation, triggering Mental illness & Drug-addiction.